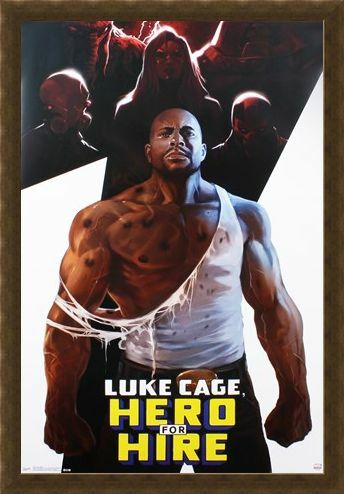 Marvel Comics Maxi Poster: Luke Cage is a 'hero for hire'. Sometimes referred to as 'Power Man', this superhero first debuted in the Marvel Comics in June 1972. 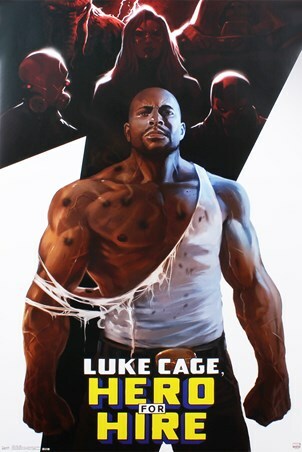 In this poster he is depicted standing tall, a ripped white top revealing bullet wounds upon his torso, whilst his muscles are so tense that his veins protrude to the surface of his skin. 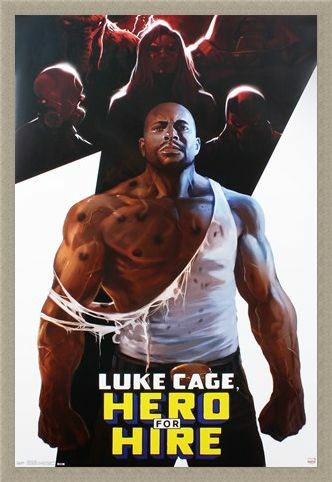 The comics are based on the protagonists origins, how he was imprisoned for a crime which he did not commit and how he gained superpowers. 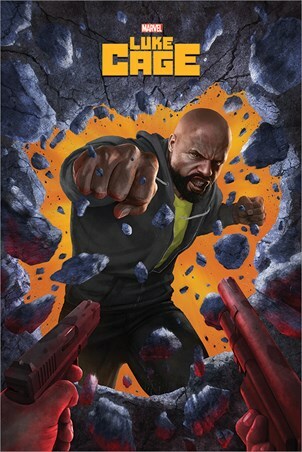 If you find yourself in a tricky situation, then this is the man that you need! 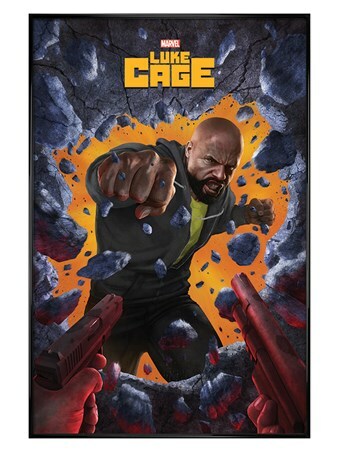 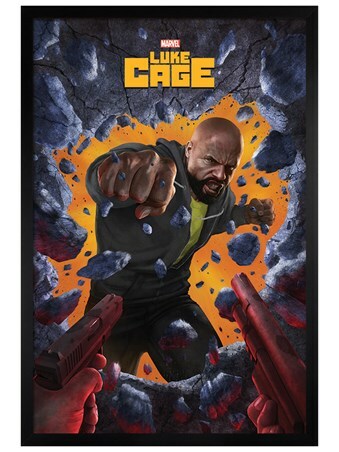 High quality, framed Hero For Hire, Luke Cage poster with a bespoke frame by our custom framing service.